All editorial content and graphics on The Micro Gardener website are protected by Australian copyright and international treaties. The content and graphics may not be copied, in part or full, without the express permission of Anne Gibson, The Micro Gardener (owner) who reserves all rights. Re-use of this website’s content is strictly prohibited. Information on this site is for PERSONAL USE ONLY. The sale or reuse of such information for commercial gain is NOT permitted without the written consent of Anne Gibson. This includes recipes, tutorials, images, derivative works (altering in any way) and all original content. Copying or adapting the HTML that The Micro Gardener creates to generate pages is not permitted. We routinely use copyright protection software to actively search and investigate cases of infringement and plagiarism against The Micro Gardener copyright. As appropriate, an initial warning will be given to any parties involved and will proceed further if necessary, with prosecution within the law. Requests for permission to reprint any information for educational or training material or republishing should be made in writing. This includes newsletters, articles (print or online) or any other publication. Sharing via social networks and text-based links to The Micro Gardener website ARE perfectly acceptable. However, the correct web link to the image or page must be included. Photo attribution is good manners and ‘netiquette.‘ You credit the original owner of the image which protects their IP (intellectual property). This honours their work. When you visit a site to find more information about an image, don’t you get frustrated if you can’t find it? [Hover your cursor over the image on this page. You will see it is clickable and will divert you to the original webpage]. Read some general guidelines on how to provide attribution in the blogging world here. See comments below for best practice examples. Not all images on this site belong to me. I have credited photo owners by linking back to their sites. Correct attribution also honors the copyright of photo owners I have credited on this site. This allows visitors to find original content associated with those images. If you wish to reproduce any content on this website, please contact me for permission or contact the image owner directly via external links. Thank you. 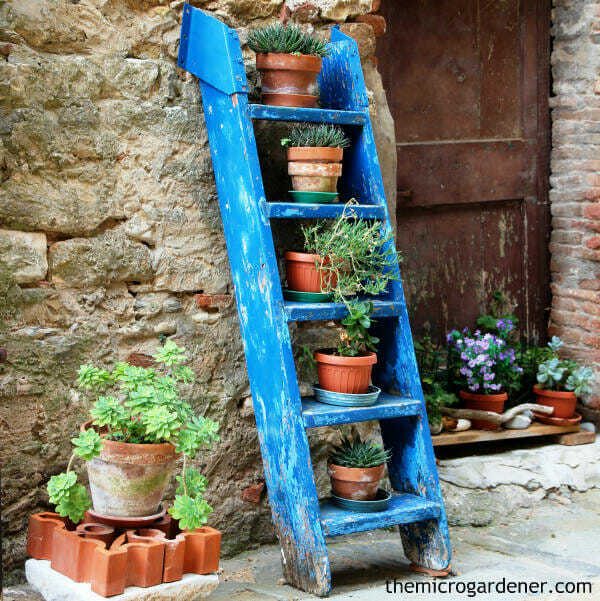 All content provided on this website “The Micro Gardener – www.themicrogardener.com” by ‘the Owner’ (Anne Gibson and Green Journey Pty Ltd) is for informational purposes only. The Owner of this site makes no representations as to the accuracy or completeness of any information on this site or found by following any link on this site. All content is provided for the purpose of motivating and inspiring you to empower yourself with the knowledge and skills to grow your own food. This is in the interests of your emotional well-being, sustainability, health and garden décor. Any statements or claims on this site about the potential health benefits of any foods or plants, or plant material are for general information purposes only. They are not intended to diagnose, treat, cure, or prevent any disease. Visitors to this site are obliged to perform their own due diligence and/or research to establish the accuracy of such general information. This website is not a substitute for health and medical advice from a qualified health professional. Users of this website should always seek the advice of a qualified health professional with any questions they have regarding their health or a medical condition. No specific claims are made by Anne Gibson, The Micro Gardener whatsoever. This site contains links to other websites. All external links contain content which is not endorsed, administered, or controlled by this site. The Micro Gardener is not responsible for the information found on the sites linked to and/or actions taken by these site owners. All information that you submit on other websites is done so at your own risk. The Micro Gardener will not be liable for any errors or omissions in this information, nor for the availability of this information. The owner will not be liable for any losses, injuries, or damages from the display or use of this information. Before relying on the material in any important matter (including links on this site to any third party content), users should carefully evaluate its accuracy, currency, completeness and relevance for their purposes, and should obtain any appropriate professional advice relevant to their particular circumstances. These terms and conditions of use are subject to change at any time and without notice.